I know nothing about mechinical harvesters. How did their invention end starvation for millions? Just off the top of my head I would have thought they would have put many people out of work; they would no longer be needed at harvest time. Anonymous - that is certainly one way to look at it BUT the data of what actually happened (and continues to happen) is just the opposite. When people are not totally consumed with the basics of survival - food and shelter - they can begin to work on/learn about/invent other areas of interest - you know like art and music and computers and cars and antibiotics... And people can also work on finding better, more efficient and safer ways to grow and harvest food. People will naturally try and improve so long as the enviroment around them (not just the land and water) is set up to allow and encourage improvement rather than discourage and even claim it is harmful. People will improve in the right direction and areas (read that not politically but morally) when they are taught the Truth and Good News that will set you free. Freedom here being defined as NOT a LACK of RULES - but rather the freedom to do what is right. So - yes - people who invented harvesters and automatic packing lines and robotic car manufacturing lines are not only heros BUT also allow more and more people the freedom to concentrate on the higher things of life. Of course it meant fewer jobs as wheat pickers; or, it meant those workers could help harvest many times more acres of crops. In a vital economy, jobs are both destroyed and created all the time. 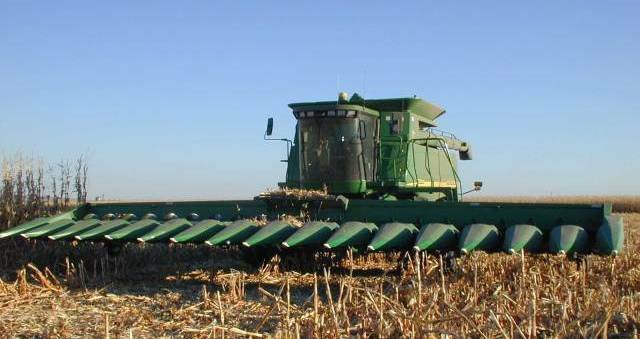 For example: those harvesting machines have to be built -- and that makes jobs. Look at it another way: there are places in the world where they still pick wheat, cotton, and other produce by hand; would you trade places with those countries on the assumption that they their lack of mechanization means better employment opportunities? Really? The great advances in farming, made possible by mechanization, have meant more food and less starvation. The increase in the acreage that could be farmed was huge and the cost of doing it went way down. Remember, at harvest time, the farmer is racing the clock; if he doesn't get the crop in in time, it'll be lost; he may be racing to beat coming rains as well. The epitaph of Cyrus McCormack, who invented the first mechanical harvester, says it best: "He made bread cheap." the one about building the interstate system was the best one I saw.